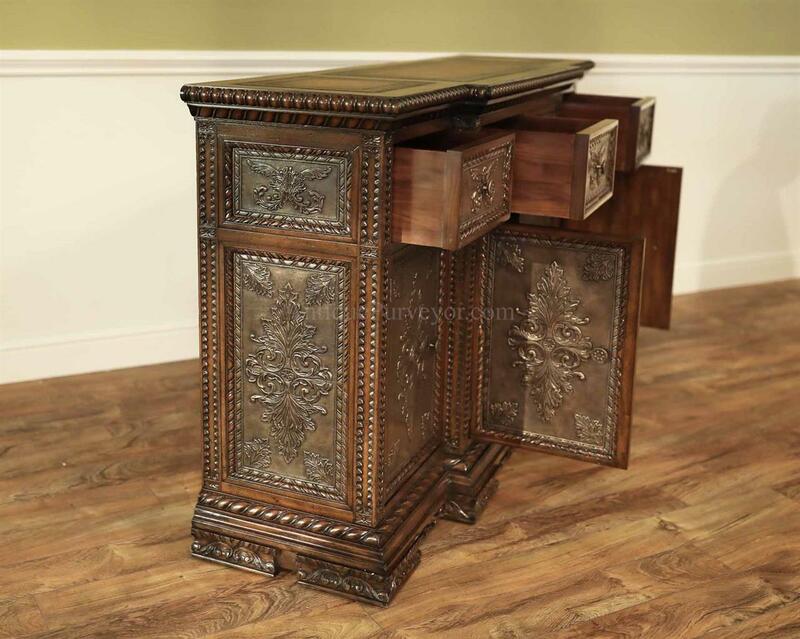 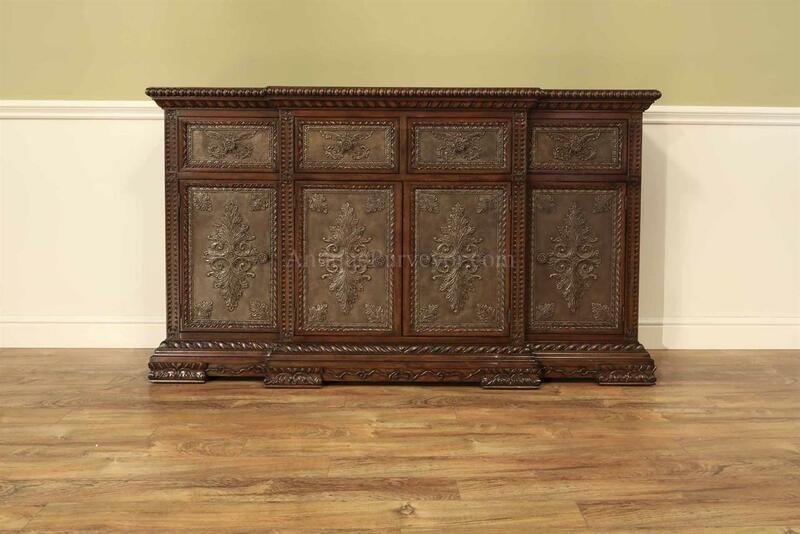 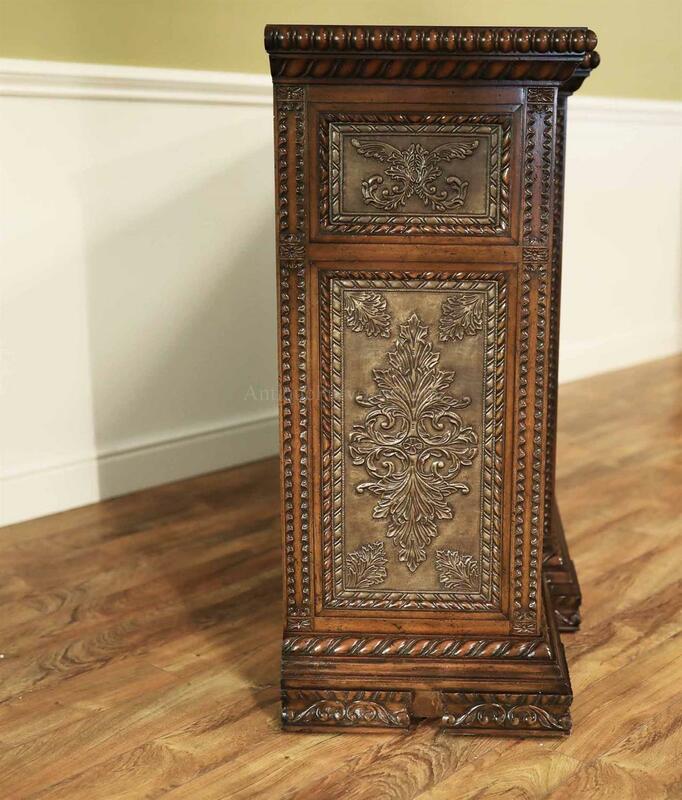 Description: This high-end antique reproduction is a Mediterranean style or Tuscan style walnut sideboard with a leather top and brass panels. 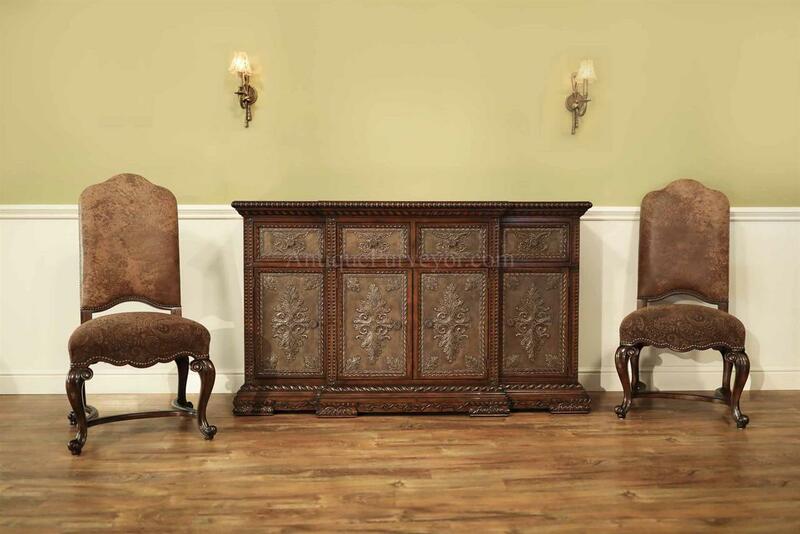 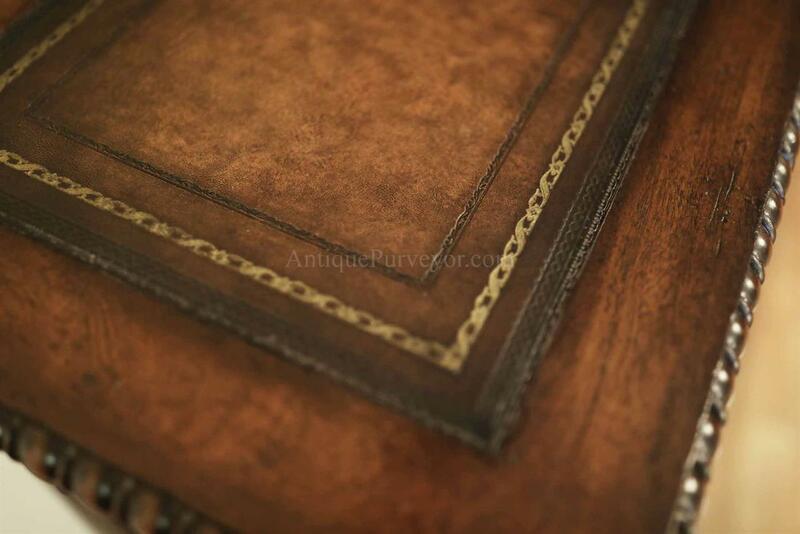 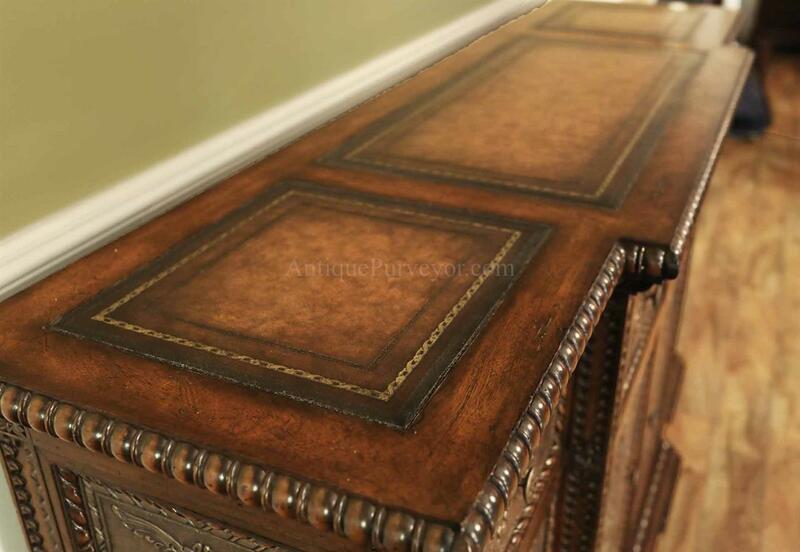 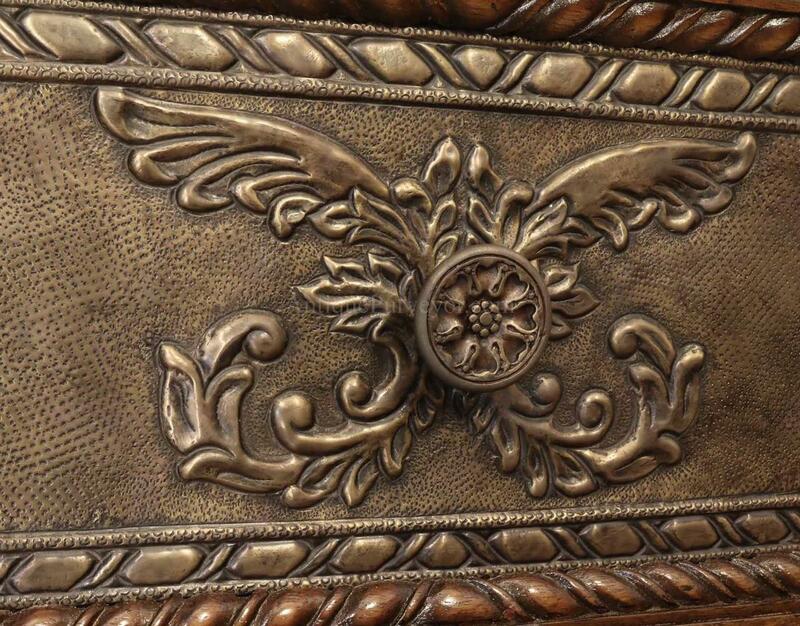 It features a heavy factory distressed finish with warm brown leather top and tarnished brass reprousee door panels. 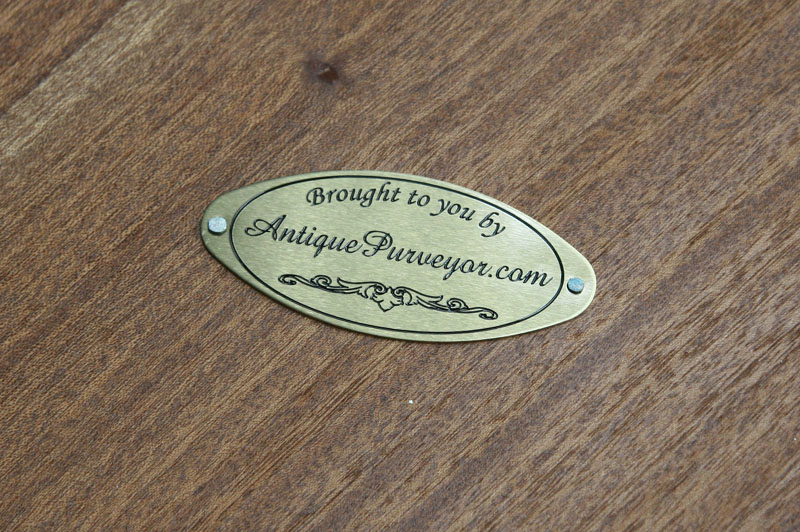 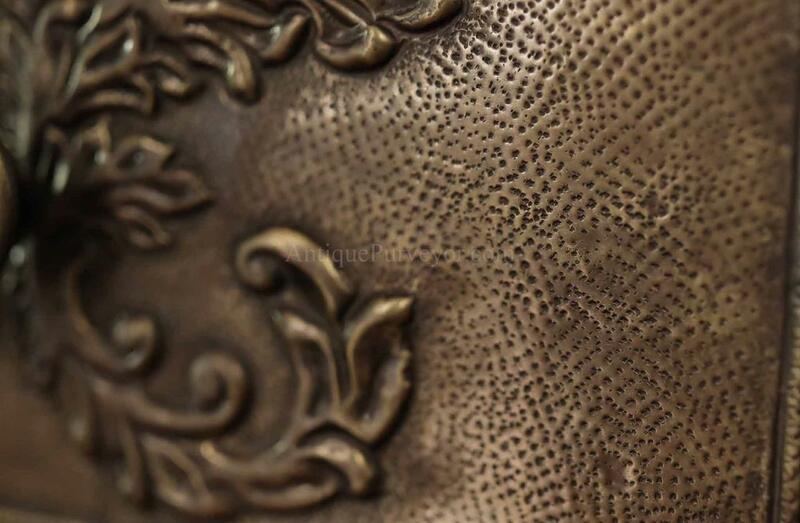 Tarnished brass reprousee door panels. 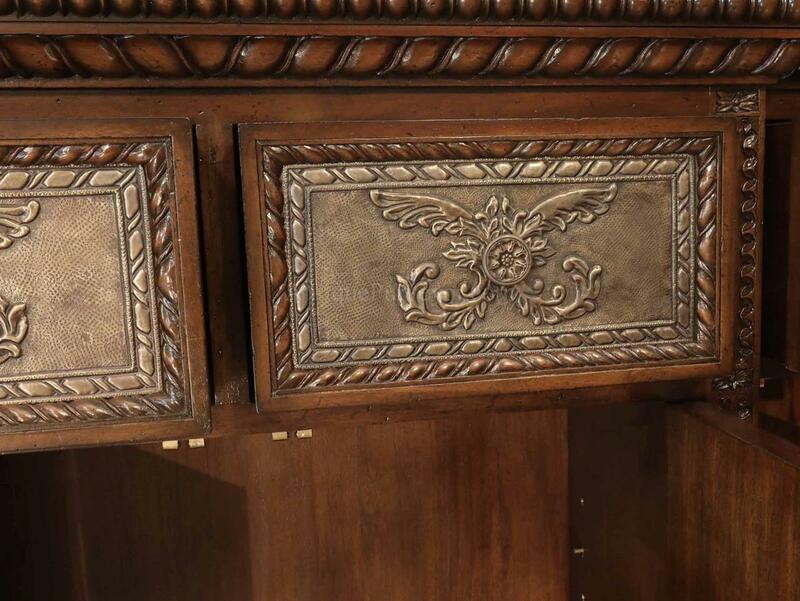 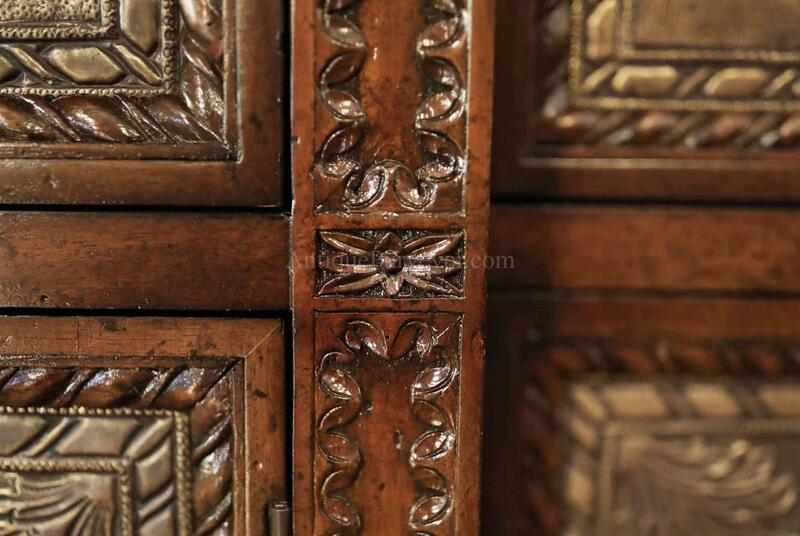 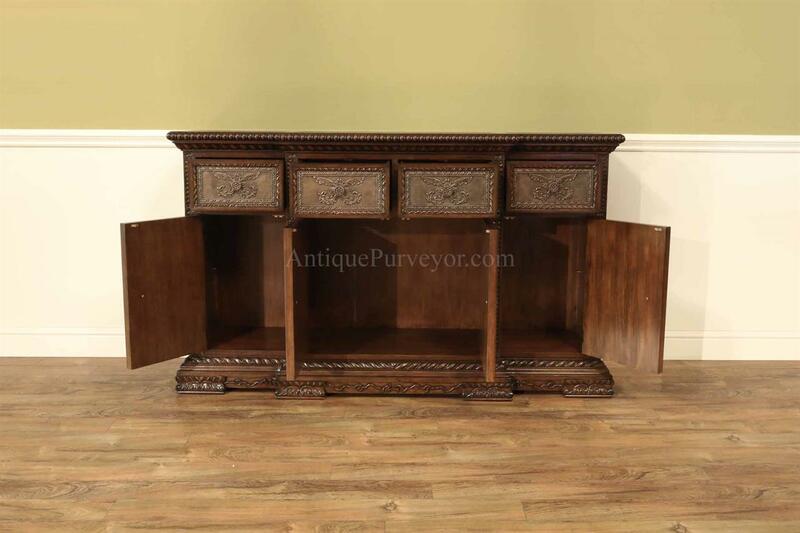 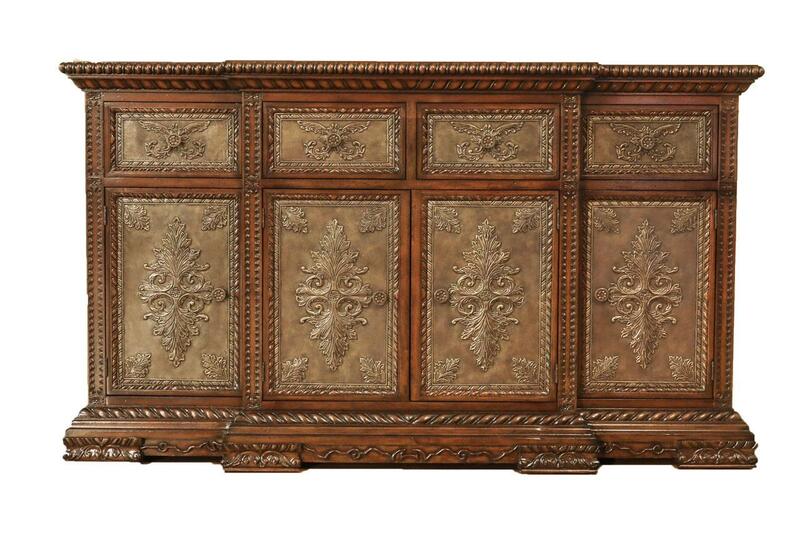 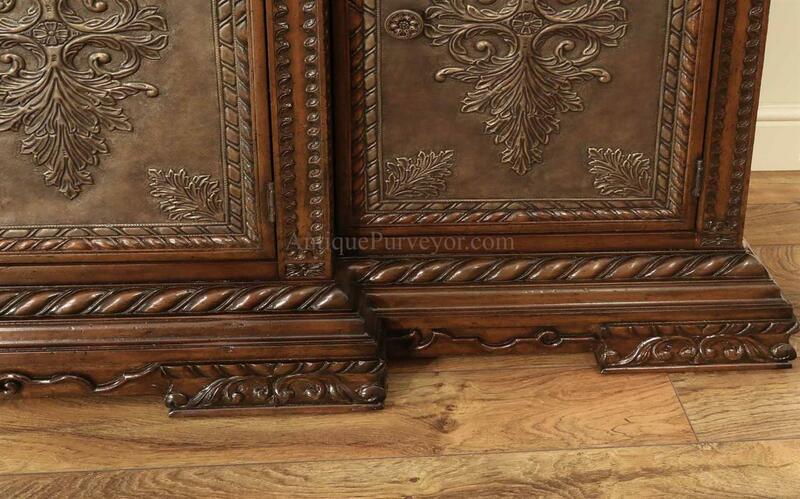 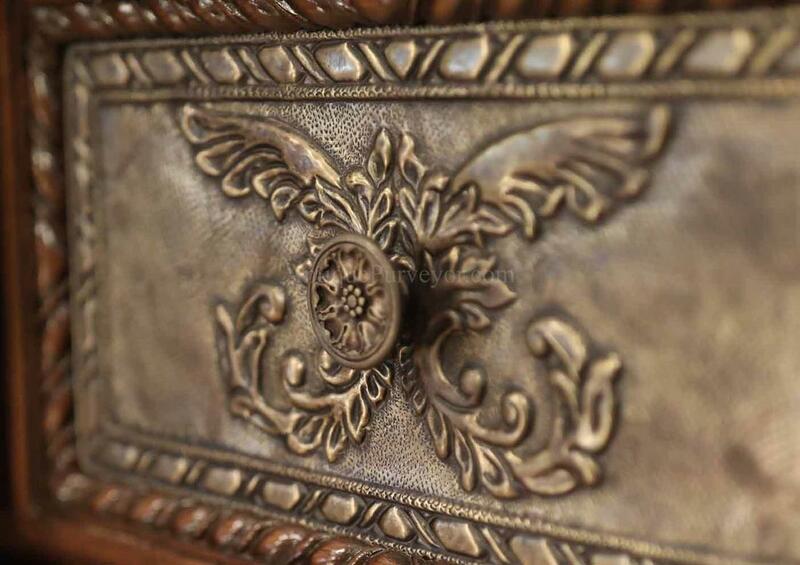 It's a truly special antique-style credenza for a traditional space.